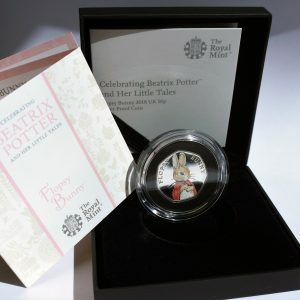 The design for this coin celebrates Beatrix Potter’s own watercolour illustrations. 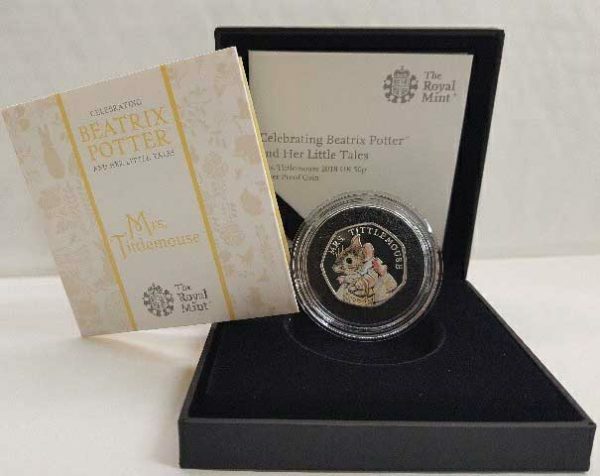 Mrs. Tittlemouse carries the basket she uses to gather her dinner, with the finest of details captured in colour printing on the coin’s small surface. 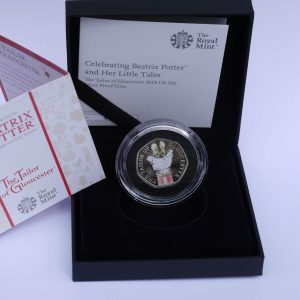 This limited edition sterling silver coin is finished to Proof standard. 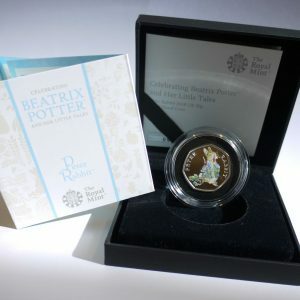 It is also accompanied by a booklet with information on the story and quotes from Beatrix Potter’s original tales.